The marathon is a demanding event that requires training on tired legs and implementing workouts that simulate the fatigue and soreness you will experience during the latter stages of the race. For almost all other race distances, you can came close in training to the intensity and distance of the race itself. Simulate the “dead leg” feeling many marathoners experience after 18 miles. You should use this workout as one of your marathon simulation runs. This means you should eat your planned pre race meal the night before, try and eat a similar breakfast to what you will use on race day, and implement your planned nutrition strategy. Warm-up with an easy mile of running, some light stretching, and a few strides to get the systems firing on all cylinders. 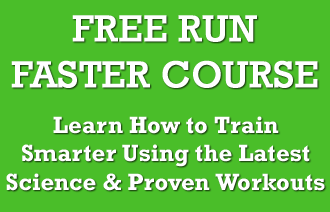 Begin the first 5/6 mile interval at your target pace. Always start your workouts on the slower end of the suggested pace range and only increase the pace to the faster end of the range if you feel good. This is a long session and you don’t want to blow up and not be able to finish. Take a 10 minute rest after the first interval. You can walk, very slowly jog (more a shuffle than a jog) or stand in place, whichever works best for you. The purpose of this 10 minute rest is to get your legs stiff and uncomfortable, which will help simulate how your legs will feel during the latter stag of the marathon. Begin your second 5/6 mile interval at your target pace. Hold this pace as best you can, stay relaxed, and focus on good form and finishing strong. The real secret to this workout is actually the 10 minute rest. As mentioned earlier, this 10 minute break will make your muscles stiff and make it harder to run pace the second half of the workout. You will feel more tired on the second set, most likely from stiff or lethargic legs. This is planned, so focus on pushing through as best as you can. If you’ve never run a marathon before, this is similar to how you will feel late in the race. If you’re struggling on the second set, don’t be afraid to slow the target pace down to something you can handle. However, do your best to finish the entire distance unless you’re injured or sick. How many days or weeks before the race do you do this work out?? Great question. I usually like to do it 5-6 weeks before the marathon. Usually, I do it on one of the weekends or weeks between hard long runs. Good luck! Very excited to try this workout! I am about 9 weeks out and trying to do a my first sub 3 hr marathon. Would you recommend this more than once in the remaining weeks I have? I have been doing mile repeats and tempo runs and am feeling a bit “burned out” with those harder days. Thanks for the comment, Ty. I wouldn’t do this workout more than once. Do it 5-6 weeks before the race, on a week you do not have a long run scheduled. I know this is an old article, but I just wanted to know where you go the 10 minute rest in between. I looked at all the older Brian Sell/Hanson’s references about the 2 x 6 miles at 10 seconds faster than marathon pace. But nowhere did anyone mention a 10 minute complete break. Is this just theoretical? No, it isn’t theoretical. I ran for the Hansons from 2006 to 2008. The rest is most definitely included in the workout. This looks just like what they call the strength work out which without the rest they suggest you do every week during the second half of the program once the speed sessions are over. Am I mistaken? Awesome article!!! I am really excited to try this one. I usually run 12 to 25 kms per week and as of next week I will start training for my first marathon which is in Oct (Ams). By when would you recommend I implement this session? 5 to 6 weeks before the race the program calls for two 20-mile runs. 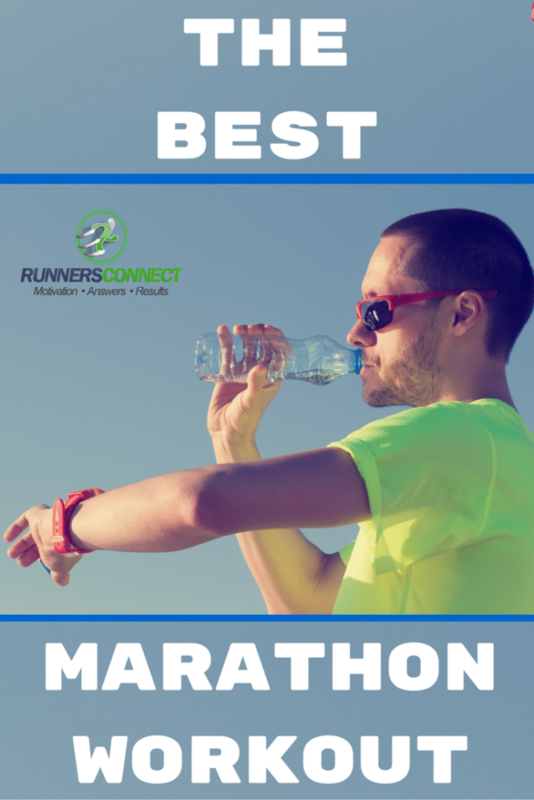 Should I just substitute the “best marathon workout” for one of these 20 milers? I did the “best marathon workout” (BMW) today in place of one of the 20-milers in the Bart Yasso program. I’m aiming for a sub-3:15 in Chicago, so my marathon pace is roughly 7:25/mile. For the BMW, I aimed for a pace between 7:05 and 7:15/mile. The second 6 miles were definitely harder, and my pace slipped marginally–7:17/mile was my slowest pace. Overall, though, I’m pleased with the workout. It seemed daunting when I woke up this morning, but I pulled through. Happy to receive your feedback…Thanks again for this workout. very interesting article Coach Jeff. Reading it and the comments, I realise I can not do it 2 weeks before the marathon. Which last “long” run would you recommand to perform instead? 1 mile w/u, 2 x 5 or 6 miles @ 10-20 seconds faster than marathon pace w/10 min rest, 1 mile c/d. What does w/u mean? What does c/d mean? Warm up and cool down 🙂 Hope this helped! really enjoyed reading this, quite unconventional to take such a long idle “break” in midst of “race intensity” session. can I just clarify, during the 10 min rest should you refrain from drinking, taking a gel etc? or is that ok? Hi Darren, thanks for the comment. It is good to hear it was helping you. If you need to take a gel, that would be a good time to do it, but if you have eaten enough before your workout, it is not necessary, it would be better to take it before you begin as then your body gets used to working with it under high intensity. I would actually encourage you to drink (sips) during your rest, to stay hydrated, just be careful not to overdo it. Hope that helps! Would you run this 2 wk after your marathon and 5 wk till your next one? in place of a long run? Nice for a new marathoner…. Is this workout appropriate for first-timers whose goal is to just finish? Also, is the 10-minute rest supposed to be active (walking/jogging), or literally rest (standing, sitting)? How often should this be performed in a training cycle (during a 16 week plan)?